Today is my anniversary. The anniversary of when I first rode a bike with the intention of changing my life. Two years seems like it's gone so quickly but I have so many memories of this time. In the last 12 months I've ridden almost 5,200 miles. In the last two years I've ridden almost 9,400 miles. I've lost 8.5 stone and got to a healthy weight and have managed to maintain it for some time. I've taken up running and swimming and do both regularly. I've also taken part in a triathlon. I've raised hundreds of pounds taking part in cycling events, raising valuable funds for the British Heart Foundation. I'd like to to thank all those that have helped me get where I am today, including those that said I couldn't do it. As without them I may not have pushed myself hard enough. A special mention goes to two people who have helped me both directly and indirectly over the last two years. First of all is Clive Chapman. I found his blog right at the start. If it wasn't for him I probably wouldn't have started this blog and wouldn't have received the help and comments from my followers. He is my hero and one day I hope to ride with him. Second of all is my colleague, Andrew Eaton. As an experienced athlete and cyclist he has helped me first hand and given all the advice I could ever want. Most importantly, he never judged me. There are many others I could mention but there are too many to name. If you've spoken, emailed, commented, tweeted, text or met me in the last two years then you're most definitely on the list. 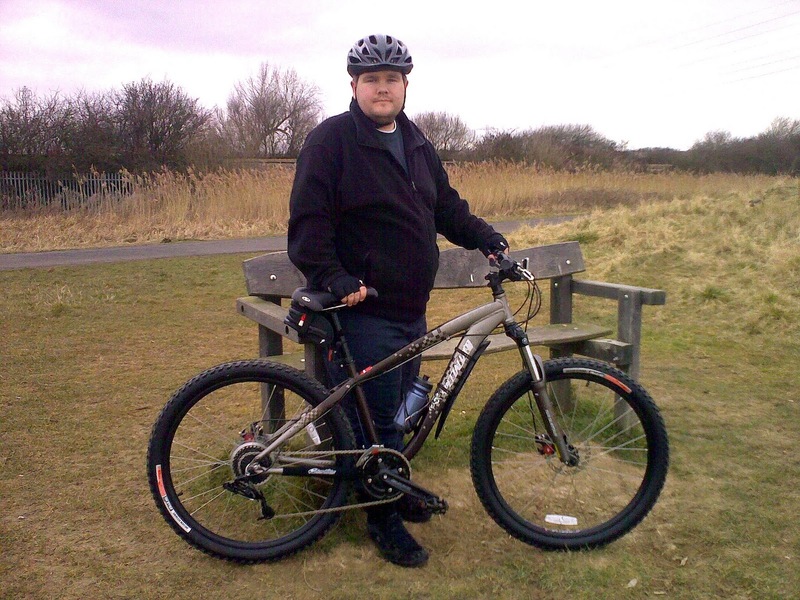 When I get home I'll be getting out the mountain bike and riding around Shinewater Park to recreate my inaugural ride. They'll be no pain in the arse from my saddle and no jelly legs. Just an immense sense of pride and achievement. Well done Toby....a real success story and so good to read about. That would be a very well deserved sense of pride and achievement Toby. Well done and congratulations!! Keep those pics close at hand. They may come in handy when confronting some of life's other challenges. You’re most welcome mate. I have nothing but respect for what you have achieved, and importantly your ‘can do’ attitude. It has been a breath of fresh air to help someone who listened to the advice. 90% of people and almost all triathletes have too big an ego to listen in the first place and that’s what separates you from most of the others. Had you not listened I wouldn’t have helped you. You have travelled so far from that first ride into work, and the fact today you can sit on the wheel of a half decent triathlete, is a credit to your hard work. Welcome to the world of the ‘fit people’, and never loose your sense of humour when it comes to banter. If you do, then you’ve started to take it all too seriously !! That Clive is a genuinely good bloke, world needs more like him. Great Acheivement. Cycling did the same for me and I'll never ever look back. Well done mate. Thats a crackin vid. Nice bike too! Thanks for all your nice comments guys. Much appreciated. Clive - You are my hero. The fact that you haven't had the same success as me doesn't reduce the effect of what you helped me achieve. You showed me what was possible. You pushed on even though it was hard and persevered in all weathers. If I hadn't found your blog and seen what was possible for a fat bloke, I may have well given up before I'd even really started. When the going got tough I just read your blog. Your daily updates showed me that I wasn't alone. Your blog also guided me to a whole community of others trying to achieve the same. I found the support network I needed because of you. Don't ever dismiss the impact you've had on others. You helped me change my life and for that I am eternally grateful. Respect. Well done Toby. 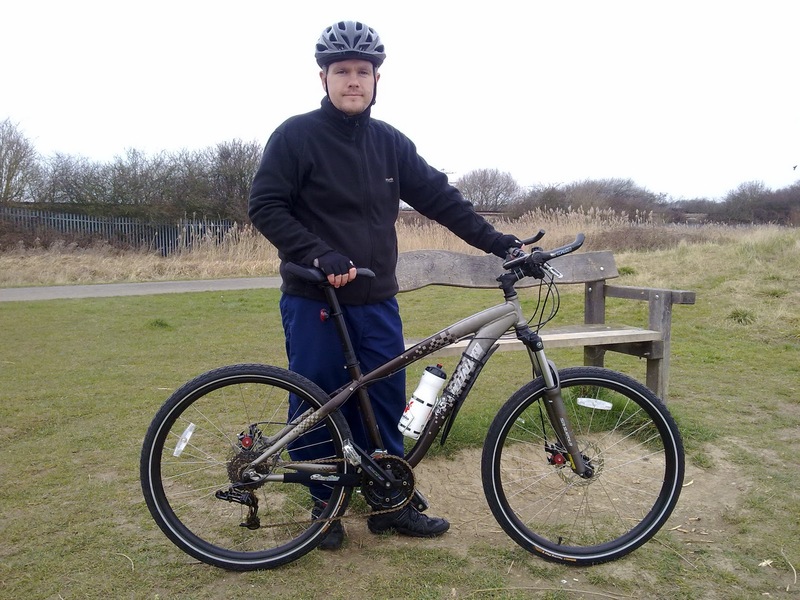 I started cycling properly in the autumn last year With me it was to help fight depression through being in the open air and doing a healthy activity. I am now riding 70-80 miles most week and have competed in 4 mountain bike races. I have lost getting on for two stone in weight and am the fittestb(and thinnest) I have been in over 20 years. I only just found your blog but it has spurred me on to ramp up my efforts and lose another half a stone to get down to 12.5 !! A thanks for writing your story. Brilliant and motivational to many. Well done mate. Much respect, ive just started riding and at 19 stone its hard, but reading about you has just given me a much needed boost. I just need to get over the thigh burn.